High density heel and toe. 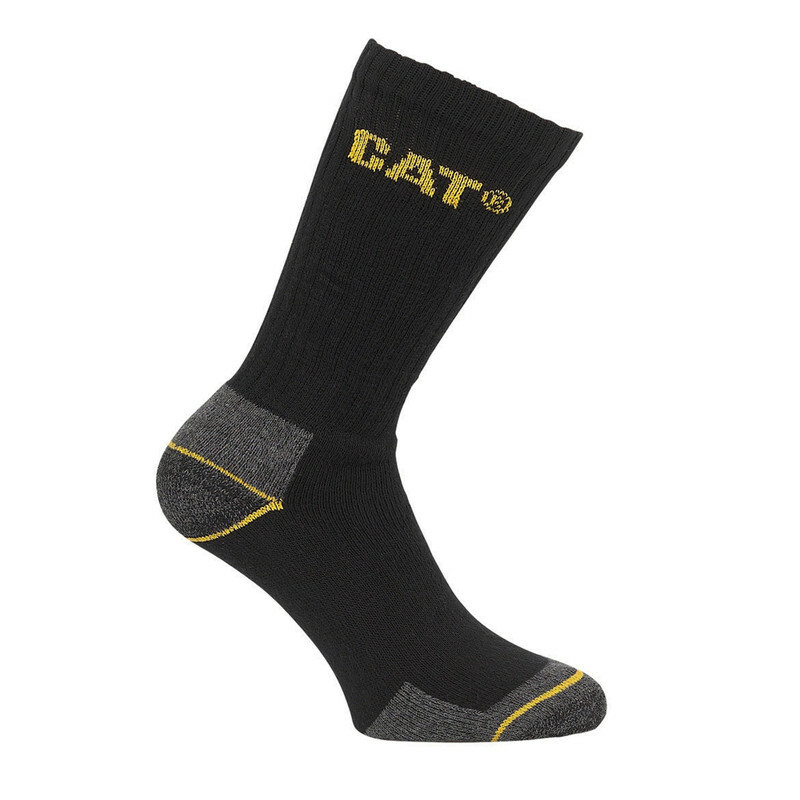 75% cotton, 21% polyamide, 4% elastane. 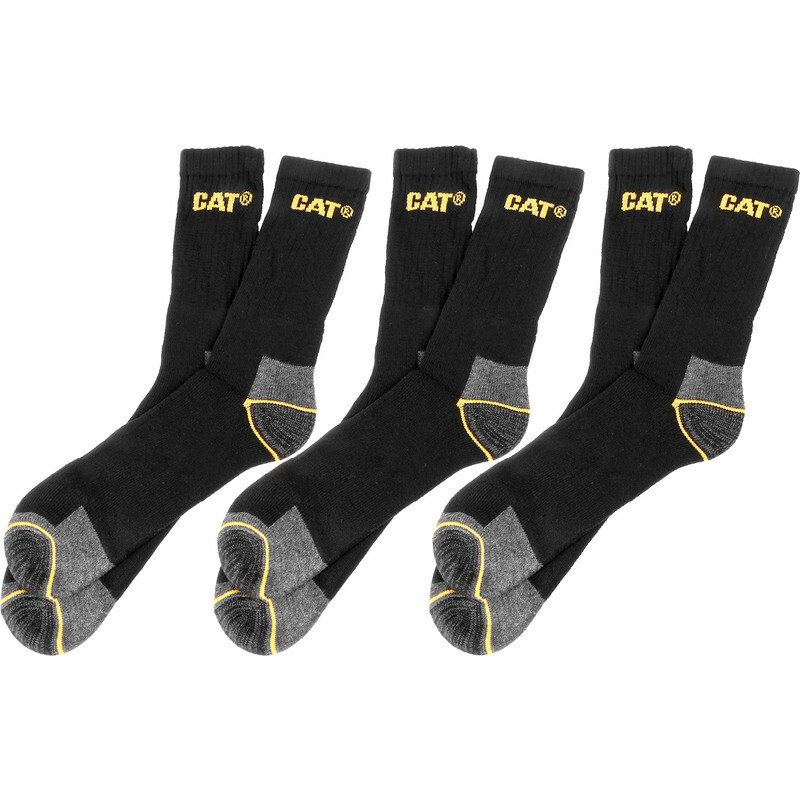 Caterpillar Crew Socks Size 6-11 (3 Pairs) is rated 4.5 out of 5 by 2.